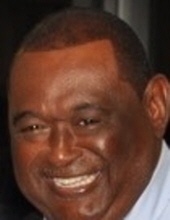 Michael Ray Bryant, 63, of Raleigh, departed this life on Saturday, March 23, 2019. Michael will be forever cherished by: his siblings, Glenda Roy and Ronald Bryant both of Morehead City, Brenda Johnson (Sylvester) of Beaufort and Sharon Johnson (James) of Jacksonville, Florida; and a host of other family members and friends including his beloved alumni members of Fayetteville State University, his brothers of the Masonic Order and Phi Beta Sigma Fraternity. The family cordially invites you to join with them in the Visitation of Family and friends to be held on Sunday, March 31, 2019 from 4:00 PM - 6:00 PM at Morgan Funeral Home, Inc. and Cremations, 150 Williamsburg Parkway, Jacksonville. During this time, ritualistic services will be performed by the Masonic Order and Phi Beta Sigma Fraternity. The service Celebrating the Life and Legacy of Michael Ray Bryant will be held on Monday, April 1, 2019 at 1:00 PM in God's City of Refuge, 953 Hibbs Rd., Newport. The interment will follow the service in the Church cemetery. Professional Service and Personal Care are being rendered to the Bryant and extended families by the staff of Morgan Funeral Home, Inc. and Cremations, Jacksonville (910) 347-9595. To send flowers or a remembrance gift to the family of Michael Ray Bryant, please visit our Tribute Store. "Email Address" would like to share the life celebration of Michael Ray Bryant. Click on the "link" to go to share a favorite memory or leave a condolence message for the family.